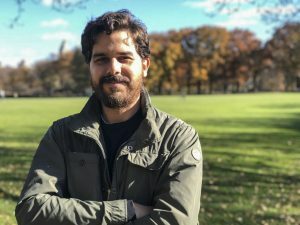 Jose Felix Pinto-Bazurco joined the Sabin Center for Climate Change Law in January 2018 as a Visiting Scholar. His research focuses on the legal impacts in implementing the Paris Agreement in Latin American countries. He specializes in International Environmental Law and has experience in public administration, the private sector and research. He has followed the international climate change process in different capacities: as a delegate, as a researcher, and, for the UNFCCC secretariat. In 2015, the Alexander Humboldt Foundation awarded him a fellowship for his research on implementation of international climate change law in developing countries. He holds a PhD in International Law from the Justus-Liebig University in Giessen, Germany, and an LL.M. in European Law from Lucian Blaga University in Sibiu, Romania.